Factions aside, which rules would you like to see in the game? Given the recent discussion around the upcoming edition of Warhammer 40,000, there's a lot of discussion around the rules that will be appearing in the game. 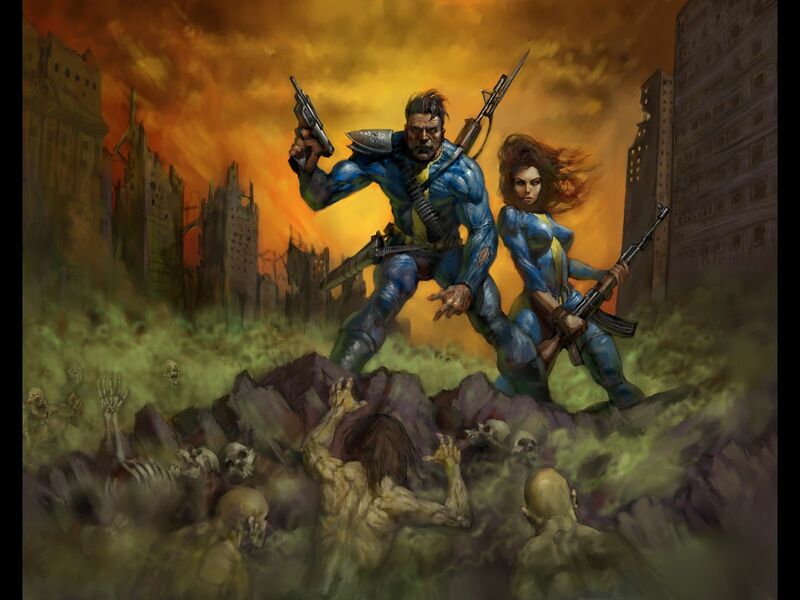 But what rules and/or functionality would you like to see in Fallout Wasteland Warfare? I'm a fan of the systems at play in Warzone 2nd Edition. Let's take shooting for example. Weapons have a modifiers called Point Blank [pb], Short Range [SR], Medium Range [MR] and Long Range [LR] statistic that will effect your ability to shoot accurately and damage your opponent. I think this would work well in the world of Fallout. Laser Weaponry [Read] relies on concentrated coherent light that is of sufficient wattage to impart trauma by means of focused blasts of heat. The weapon would convey nothing in the way of kinetic energy and thus it would benefit from having no Recoil whatsoever. But that also means it can't stagger an enemy or knock them of their feet if the shot is blocked by Armour. PB 6" + 2 Hit at 10 damage. SR 6" to 12" + 1 Hit at 10 damage. MR 12" to 18" at 10 damage. LR 18" to 24" at 8 damage. PB 6" +2 Hit at 10 damage. SR 6" to 12" +1 Hit at 10 damage. MR 12" to 18" -1 Hit at 10 damage. LR 18" to 24" -3 hit at 8 damage. But that's just something I would like to see. What about you? How would you write a rule set and is there anything you're looking forward to seeing in the game? I hope good turn sequence rules. - Some popular games has really bad system when one player starts and does everything and then other player does everything. That gives too much value who starts first and who gets the last turn. It causes "unnatural" strategies but they works in the game. - Some other games both moves first, then both shoots, then both charges etc. That smoothen the system a lot. Much better. Who get the initiative is not too important. - Some games has systems when characters are activated one by one. Also pretty good. The point is personally I feel the first system is the most horrible. Anything else and I'm happy. I very much agree with what you say about the first system. Moving an entire army/team before the enemy army/team moves has significant impact on the overall strategy element of any game. I very much prefer it when one player makes a move, and then the other makes a move. Be it at a squad or soldier level, it makes the game a lot more balance. My post above mentions Warzone 2nd Edition. That game uses a turn based system wherein I make a move, then you make a move until all units have "activated" and then we move on to the next turn. But each unit also uses action points. You can reserve an action point to "interrupt" another models action. So if you have a unit "stand ready" and then another unit crosses their line of sight, you can "interrupt" the movement by shooting at them with your reserved action point. You take a leadership test and, if you pass it, you can open fire on the enemy and kill them before they reach their destination. But if you fail the test or fail to kill them, the enemy simply puts their head down, whether the fire and continues to move. It's a fantastic system. 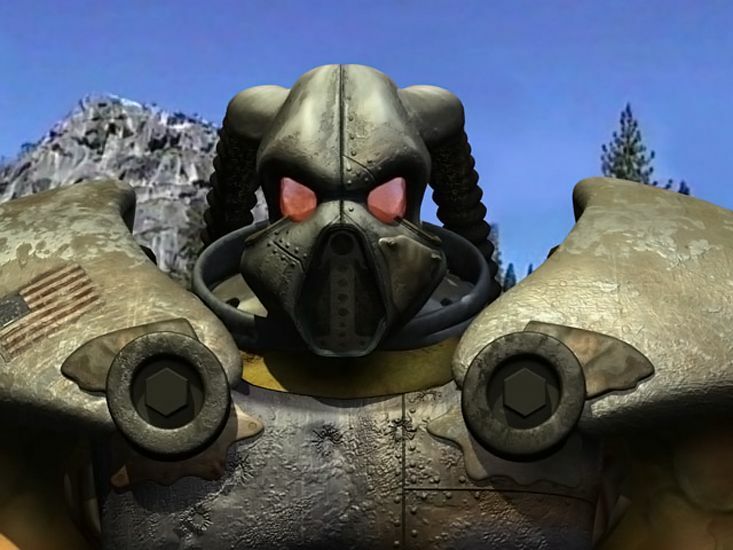 Oh trust me, I've been screwed over by V.A.T.S on more than one occasion in Fallout 1 & 2! As you say, it's a big risk, so that could definitely be implemented as a cool mechanic. One dedicated action perhaps? If you fail the action, that units turn is over and V.A.T.S can't be used again this game turn. Rules for special gear. Torch, medipack, stims, geiger caunter, etc. Adventuring and exploring rules for post-battle. Depending on mission, gear, leaders luck or similiar gives boost or disadvantage to find rare places or happening. (locked lockboxes, dead dwellers, caravan, holy vault, downed planes, wasteland doctor etc) These might give more innovation to play Battles. What will I find next? This can be done with cards or dice roll. These can give even boost to campaign goals. Keeping adventuring random is more fun. Xp and leveling system. Every character is person not just cannon fodder. Ongoing campaign with mission and secondary goals. Every factions have a reason Why they battle or adventure. Every battle gives clues or hints to complete or win campaign. Goals can be like finding water purifier or Legendary Highwayman. Battles have secondary and secret goals. Not just kill enemy or reach table edge. Fear of losing troops. Critical injuries like Cribled limbs, radioation, blindness, Death. One more time! Good campaign and adventure system! Rich characters and fear of losing them. 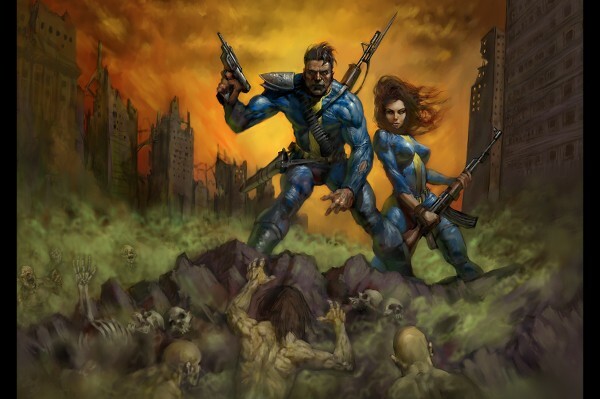 Fallout is about adventuring & surviving in post-apocalyptic atmosphere. There is too much games which have no point to play because every battle is same and same troops every battle. Check is made for that type gaming. That I play for win. Miniature games are for fun. Oh and measuring when player want's. I don't want to guess any distances. It's not matter of strategy. It's just annoying. And I particularly like your suggestion about having a deck of cards that act as loot drops and encounters, that would be great. I hate not being able to measure whenever I want, this is an essential inclusion. I'm with you on the pre-measuring. In whatever game I've used "eyeball estimation"* rules (Games Workshop games, Warmachine/Hordes/Iron Kingdoms), it has been a hassle, and I've had people complaining about my reliance on Hirst Arts Castlemolds terrain (because it's built out of blocks that tend toward 1" or 1.5" increments) or else my modular terrain boards (which are usually in pretty regular size blocks, so I can more easily remove and store them, or swap them around for a slight change to the terrain layout). Just let everyone measure ahead of time and that's one less headache for me to worry about. I'm fond of the Warzone approach to actions as well (well, I was more into 1st edition than 2nd...), vs. certain other games where EVERYBODY moves, then EVERYBODY attacks, and then we let the opposing wizards duke it out -- then repeat the cycle. The warzone "action" model was far more conducive to the introduction of new types of battlefields, new special rules for terrain, and particular scenarios where you might deal with things such as opening/closing a bulkhead door, hacking a computer terminal, spending multiple actions enacting repairs on some wrecked vehicle while the enemy is still advancing (so how many of your troops do you devote toward making repairs, vs. fighting off the enemy? ), and so forth. One thing I'll add in: MULTIPLAYER. Or, more specifically, I want to be sure the game scales well enough to accommodate 3+ players, whether in cooperative or competitive scenarios. Some of my most fun Warzone scenarios were where I had multiple players taking on the roles of different megacorporate factions, or different subfactions of the Dark Legion, whether at my house, or at Necronomicon (local Florida sci-fi/fantasy/horror/gaming convention). E.g., Go-Zero: A giant mutant neo-dinosaur (i.e., I got a big Godzilla toy on clearance) is on the rampage in a subterranean habitat on Mercury (Mishima's home turf), and several special forces from the different megacorporations have popped up to lend their aid to the city, while hand-cranked news cameras are rolling. The monster was pretty much indestructible, and moved according to a semi-random logic (heavily influenced by reacting to who hit it the hardest most recently), and as it moved through my modular buildings, the building section would be turned to rubble/rough terrain in short order. The megacorps were supposed to be fighting the monster, not each other, so they couldn't attack each other. Victory points included such things as how many of your troops survived the rampage, but you'd get some compensation points if your model died "heroically" while a camera was pointed his way (vs. just quietly dying off-camera -- though, to be sure, STAYING ALIVE was worth more). Buildings getting trashed in your defense "sector" counted against you, as it made your faction look ineffective. Shooting at and "hurting" the monster only counted for points if you were seen doing it -- but it also had a chance of attracting the attention of a nearby camera to point your way in reaction to the explosions, so that NEXT TIME it might count. Etc. I'm with you on the pre-measuring. In whatever game I've used it (Games Workshop games, Warmachine/Hordes/Iron Kingdoms), it has been a hassle, and I've had people complaining about my reliance on Hirst Arts Castlemolds terrain (because it's built out of blocks that tend toward 1" or 1.5" increments) or else my modular terrain boards (which are usually in pretty regular size blocks, so I can more easily remove and store them, or swap them around for a slight change to the terrain layout). Just let everyone measure ahead of time and that's one less headache for me to worry about. I'm glad there are some fans of pre-measurement here. I think it's an objectively better system. 1st and 2nd Edition are far superior to Resurrection if you ask me. And it's good to see that there's someone else here that likes Warzone here! Anyway, Warzone 1 had its pros and cons. IMHO, it tended to suffer from play balance where Cybertronic was concerned. There were cases where I could compare pretty much apples-to-apples cases where a Cybertronic unit would have all-around better stats than a model from another faction, but the same cost, and the explanation I got was along the lines of, "Well, yeah, but Cybertronic is SUPPOSED to be better than everyone else." Like, PFFFT -- game balance? HA! But in an attempt to bring this back to topic: If factions are going to be released in fits and starts after the core game comes out, I sincerely hope to avoid any kind of "faction creep." There was at least the PERCEPTION in certain miniatures games that whatever new force/army book came out for Certain Popular Miniatures Games, it was going to be THE BEST ONE YET. It would have specialist new models who would be able to defeat whatever model combo turned out to be overpowered in the previous book release. It would also have its own overpowered/underpriced heroes, models, synergistic combos, or whatnot, and if only you'd jump on board with the new faction, you'd be sure to win ... until the NEXT army/faction book comes out with something better, of course. Haha, yes it may be best to keep things on topic! Otherwise, we might end up just flooding this thread with discussion of internal game balance which, while important, isn't really something we can influence. Unfortunately! In regards to power creep, I would hate to see that happen. When re-reading the press release, I would like to draw attention to the supposed unit cap. It reads, "3 - 30 high quality 32mm scale resin miniatures" which makes me think about Crew building. I want to know how they plan to introduce new units that could be added to a Crew that would increase their effectiveness, but not break the game. Let's say I have a small Crew of Brotherhood of Steel Squires. 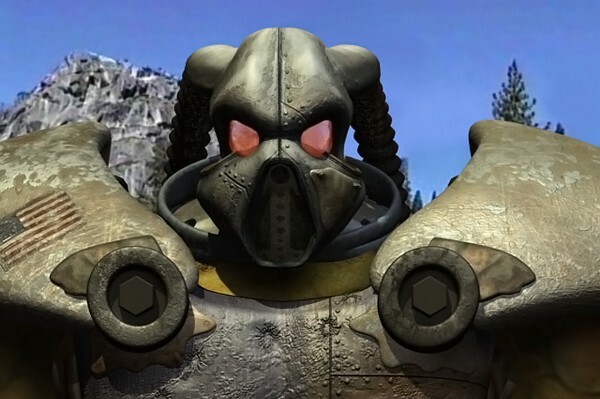 What are they supposed to do if they come face to face with someone like Frank Horrigan? What would change in a Crew if The Lone Wanderer joined their ranks? Power Creep is a serious threat to any good game, so I feel as though it's something they need to get right. Next week my friends and i will play a six player game in a postapocalyptic world, 3 teams, every player controls 5 figures (30 models in total) There are mutated beasts as well wchich will move to a set of rules. There are crates with items and consumables. It is based on modified deadmanshand rules. In this case cards will determine whos turn it is, a similar system is used in musket and tomahawks. Hopefully the rules will have an activation system similar like that. Aiming should be in the style of fallout 1 and 2. By that I mean instead of arms legs head torso, let us aim even finer. Burn someone's fingers with a laser so they can't hold their weapon, whack them in the hoo hahs with a super sledge, put a critical hit 22 bullet straight in their eye. That kind of stuff.